Felipe Massa says he already knows who his replacement will be at Williams next year. The Brazilian veteran has been nudged back into retirement for 2018, amid strong speculation it is the returning Robert Kubica who will replace him. However, it is reported that Daniil Kvyat, Pascal Wehrlein, Sergey Sirotkin and Paul di Resta are all also linked with Massa's seat. Asked who he would put a 100 euro bet on, Massa said in Abu Dhabi: "I already know who it is, so I don't need to put money on it. 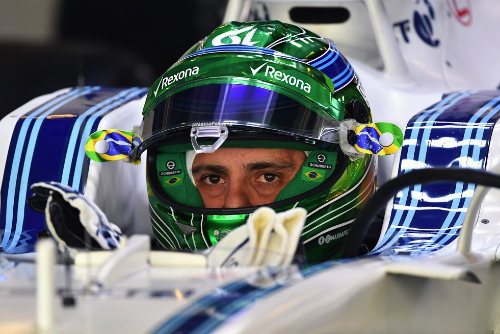 Asked if he is happy with Williams' choice, Massa answered: "I hope it is the best option for the team. But I'm leaving, so it doesn't matter to me. Russian Sirotkin - this year a Renault tester - and Pole Kubica will test Williams' 2017 car in Abu Dhabi next week. Asked who his preference would be to become his next teammate, Lance Stroll said: "The most important thing is that it is a team player." When asked specifically about Kubica, Stroll answered: "We have not met before, but everyone knows that before his accident he was one of the best. "I don't have information about what form he is in now, but let's just see what choice Williams will make in the end," he added.